Vesto Slipher was an American observational astronomer best known for providing some of the earliest evidence that the universe is expanding. 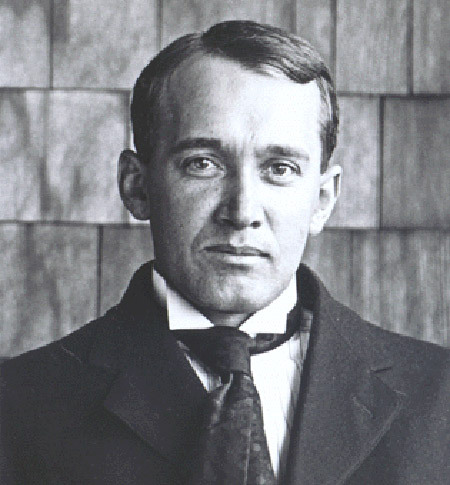 Educated at the University of Indiana, he spent his entire career at the Lowell Observatory (1902–1952), serving as its director from 1916 on. Slipher's visible and infrared spectroscopic studies of planets led to the determination of rotation periods and the identification of molecules in planetary atmospheres. In 1912 he found that the spectrum of nebulosity in the Pleiades closely matched that of the surrounding stars and concluded that the nebula's brightness was due to reflected stellar light. He thus discovered reflection nebulae and proved there is dust in interstellar space as well as gas. He also supervised the search for a ninth planet, which culminated in Clyde Tombaugh's discovery of Pluto in 1930. But his most significant breakthrough centered on the objects then known as spiral nebulae. In 1912 Slipher obtained a set of spectrographs that indicated the Andromeda spiral was approaching the Sun with a velocity of 300 kilometers per second. Most of the other spirals he examined, however, seemed to be flying away from us. His 1925 catalogue, which included the radial velocities of almost all of the 44 known spirals, provided powerful evidence that these systems lays outside our galaxy and paved the way for Edwin Hubble's discovery of the expanding universe. He was the brother of Earl Slipher, who also worked at the Lowell Observatory.